American Idol XIII returns with a two-night premiere on January 15 and 16. Joining returning judge Keith Urban on the Judging panel will be newcomer Harry Connick, Jr. and Idol veteran Jennifer Lopez! But, before the trio begins their search for the next big superstar, Jake’s Take is celebrating the past 12 seasons of Idol by celebrating the elite singers that have hit the Idol stage. To kick things off, we are celebrating the Idol ladies! Idol’s original leading lady was actually the underdog during the Bootcamp Rounds. But it was not until her performances of “Natural Woman,” “Stuff Like That There” and “I Surrender” that propelled her to the first season finale and where America voted her to become the inaugural winner. 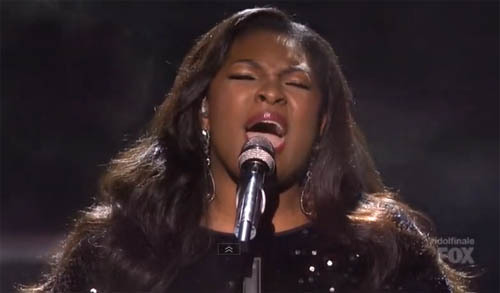 Along with Fantasia, Jennifer Hudson remains one of the most memorable contestants from the third season of the show. While Ms. Hudson had some rough weeks on the Live Shows, she soared to the top with her show-stopping performances of “Circle of Life” & “I Have Nothing.” Even though she was eliminated during the show’s Top Seven Week, Hudson remains one of the most decorated alumni with a Grammy, a BAFTA, Golden Globe and an Oscar. Before she was the co-host of Reality Check and Idology, Melinda Doolittle was the reigning queen (and rightful winner) of American Idol: Season Six. Every guest mentor from Diana Ross to Jon Bon Jovi stated that Melinda was a dynamite singer! 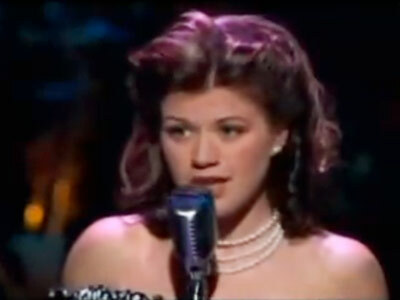 Her performances of “Home,” “There Will Come A Day” and “Have A Nice Day” will always be my favorite performances from any Reality TV singing competition show. The final female singer that rocked the Cowell era of Idol was Crystal Bowersox. In a weak season filled of karaoke pretenders, Bowersox inserted her Indie folk vibe into some of music’s most memorable hits such as “Me and Bobby McGee,” “Maybe I’m Amazed” and “Black Velvet” and introduced them to a new generation of fans. All clips that are incorporated in this blog post do not belong to me! They belong to FOX, FremantleMedia North America and 19 Entertainment.